Police believe a 21-year-old man from Robert's Arm was responsible for multiple break, enter and thefts in the small community in Green Bay over the past year. Police believe 21-year-old Marcus Bradley Todd Doody was responsible for a string of break-ins and thefts that occurred in the Green Bay community over the past year. Springdale RCMP arrested Doody in nearby South Brook on Thursday. He appeared in provincial court in Grand Falls-Windsor on Monday, though the outcome of that appearance is not yet known. Members of the community of 800 began banding together after a major spike in the number of home break-ins, with neighbours keeping watch on each other's properties and holding public meetings. The RCMP said the man, who has 11 charges against him — nine of which involve break and enters into houses and sheds in the community, got inside the properties by climbing through windows, forcing open doors and "manipulating locks." The man stole items around the home and cash while the homeowners were away, police said. Money was also stolen from inside a safe at the Just Chillin' community centre. 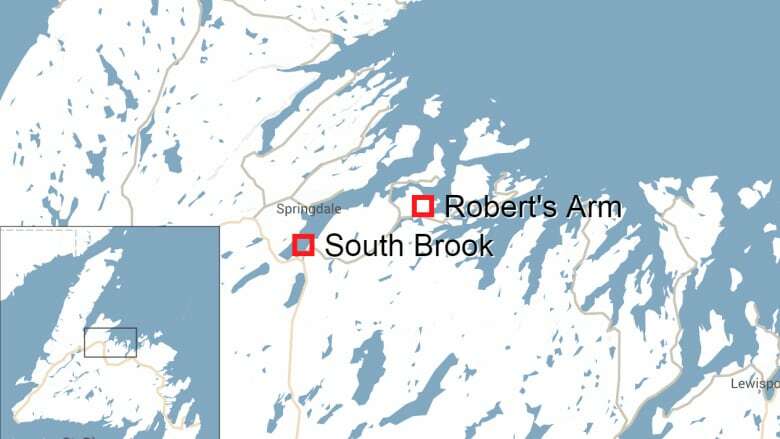 In addition to the Robert's Arm crimes, RCMP have charged the man with a break and enter on Hopkins Lane in nearby South Brook. While officers have recovered some of the stolen goods, they're still looking for more items they believe have been sold in the area. Meanwhile, police have said the man they have in custody is not believed to be linked to another break and enter that occurred in the small community in late February at the Green Bay Pharmacy. The man, whom police did not name in their news release, is set to appear in provincial court in Grand Falls-Windsor on Monday.